This jammer is designed for the use in situations where it is necessary to inspect a parked car. Whenever a car is parked and the driver uses the car key in order to lock the doors by remote control, normally he does not check afterwards if the doors are really locked or not. For such a case you can use the PKI 6660. It can be placed in car-parks, both outdoors and in car-park buildings. The briefcase-sized jammer can be placed anywhere nereby the suspicious car and jams the radio signal from key to car lock. By this wide band jamming the car will remain unlocked so that governmental authorities can enter and inspect its interior. 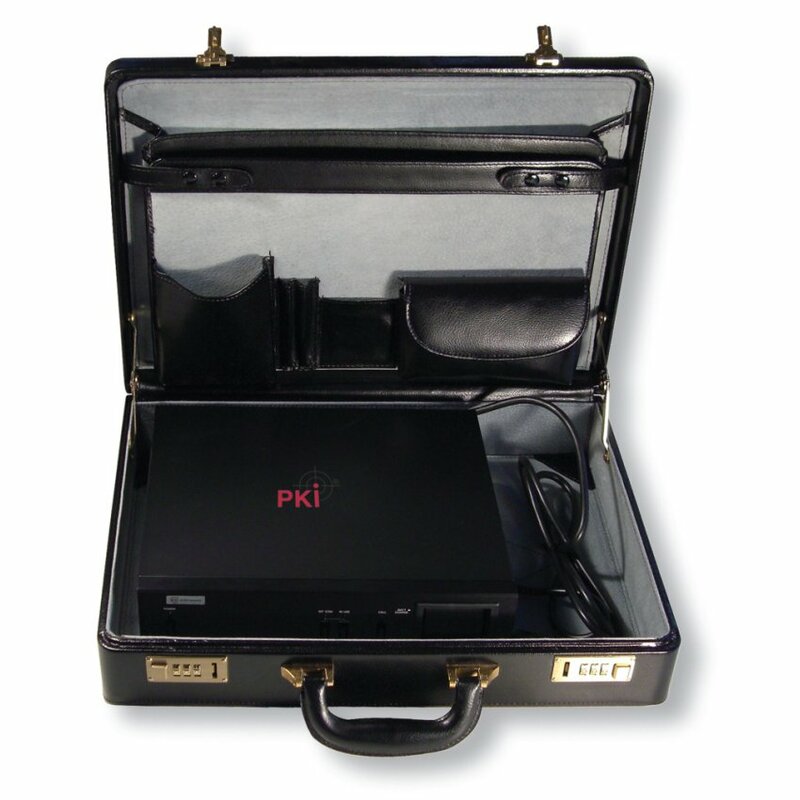 The complete system is integrated in a standard briefcase. Optionally it can be supplied with a socket for an external antenna, so that PKI 6660 can even be placed inside a car, parked in the same area, with the antenna placed on top of the car. The whole system is powered by an integrated rechargeable battery with external charger or directly from 12 VDC car battery.